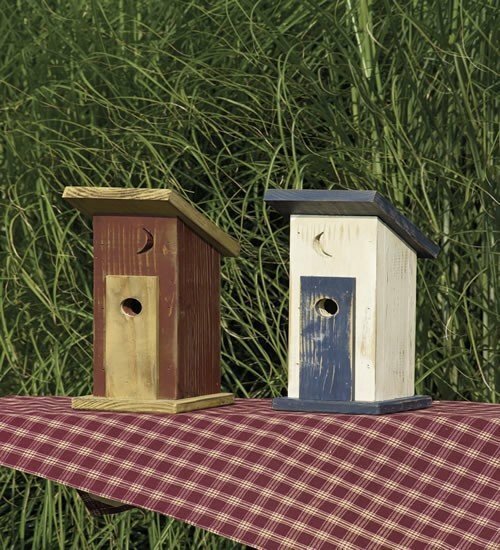 Fill your garden or porch with happy birds and knowing smiles with this beautifully handcrafted outhouse bird house. Proudly (and humorously) made from solid wood by expert Amish woodworkers, this piece is sure to bring warmth and happiness to your garden or porch for years and years to come. Choose your perfect color from the variety of shades above. If you've any questions at all, please don't hesitate to get in touch - we would love to hear from you.